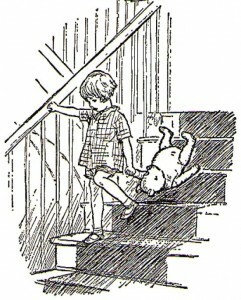 Are we making the same mistake as Winnie the Pooh? When I read this seventeen years ago to my daughter, I thought “I am Edward Bear.” I felt that I was not getting the business results that I wanted, yet I kept doing the same things over and over. I realized that I need to approach my work week differently. This probably happens to most business people at some point. What do you do about it? One suggestion is to talk to a mentor or to key people on your team to get their perspective. Another suggestion is to spend more time on your weekly planning challenging yourself as to what is one or two things that you can do, besides the normal maintenance, that would get the business to a different level. Does your head feel like Edward Bear’s?